December 1st marks the 30th anniversary of World AIDS Day, and on this occasion everyone is reminded to “know your status”. Despite the fact that testing is readily available, today 1 out of 4 people living with HIV still do not know that they have contracted the virus. There are many reasons why people may choose not to get tested, including fears around confidentiality, stigma, discrimination, accessibility, cost and availability. One solution which can address all these issues is self-testing. Zimbabwe, with the support of UNITAID and Population Services International (PSI), has implemented self-testing through the STAR initiative, which has distributed more than 645,000 kits to date in the country. Zimbabwe has seen large increases in testing among three key groups as a result of self-testing: men, adolescents and those who had never previously tested for HIV. Among the population of 16-to-24-year-olds, for example, uptake of testing increased from 35 to 74 percent. In addition to Zimbabwe, the STAR initiative includes eSwatini, Lesotho, Malawi, South Africa and Zambia and is the world’s largest evaluation of self-testing. 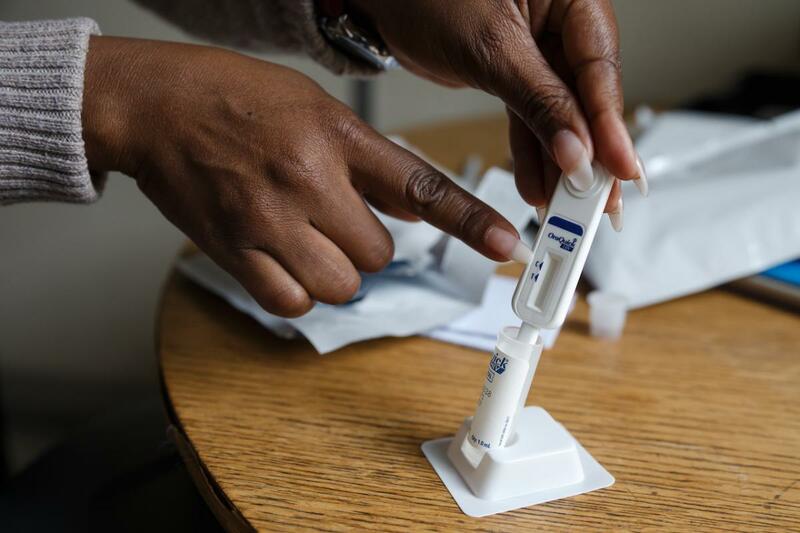 As of November 2018, 2.3 million self-test kits had been distributed and it is estimated that 73 percent of people living with HIV the African region know their status. The first global consultation on self-testing was convened by WHO and its partners in 2013, and this led to the publication of WHO’s self-testing guidelines in 2016. To date, 59 countries have developed national policies on self-testing, with another 53 countries actively working on the issue. In the African region, 17 countries have authorized the use of HIV self-testing. HIV self-testing is simple, reliable and efficient: a single drop of blood or a simple cheek swab (both types of test are available) will yield results in about 20 minutes and the test is completely confidential.